UMATT, University of Manitoba Association of Tiny Tractors, is a student design group at the University of Manitoba consisting of members from a number of disciplines including: Agriculture, Biosystems Engineering, Mechanical Engineering, Electrical/Computer Engineering, Business, and even Geological Sciences. Our goal is to design and fabricate a fully functioning quarter scale tractor for the ASABE competition each spring. We fully design each year’s tractor with the goal of creating a quality product that follows a set of rules and guidelines outlined by the competition. 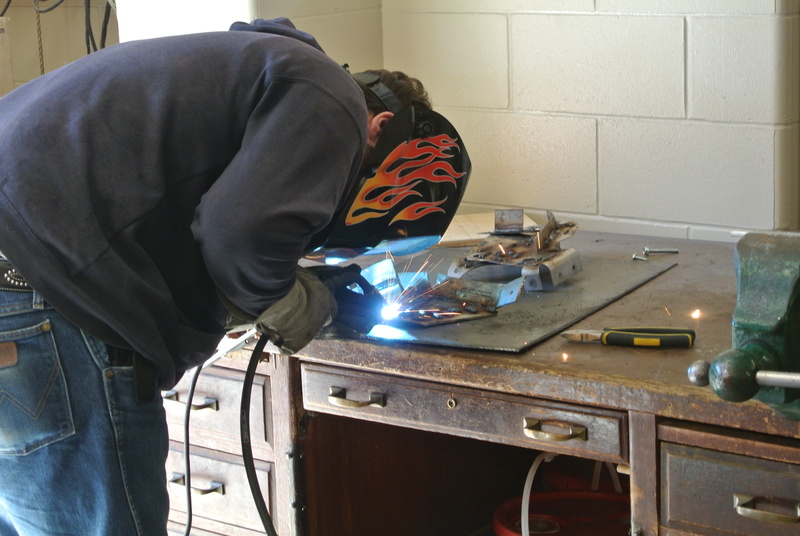 We fabricate as much of our tractor as possible in house, taking advantage of the tools provided to us from the school. For parts beyond our capabilities we partner with local businesses and manufacturing plants to create quality parts. The 2017 ASABE 1/4 Scale Tractor Design Competition will mark the 8th consecutive year of participation for the University of Manitoba. The room is usually open during normal school hours; students/sponsors/interested parties are always welcome to stop by. 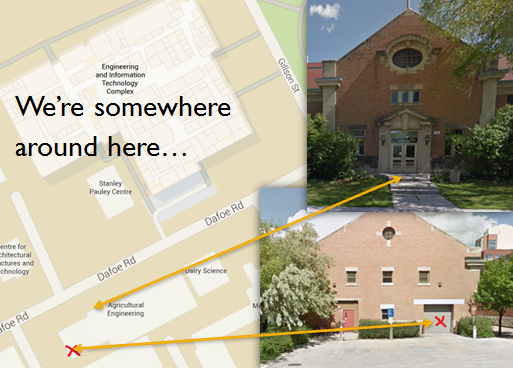 We are located in the Agricultural Engineering Building in room 110. Drop on by and say hi!